See also original Exchange plan location on their website! Price: £ 1.66/mo. VAT exc. Price: £ 5.75/mo. VAT exc. 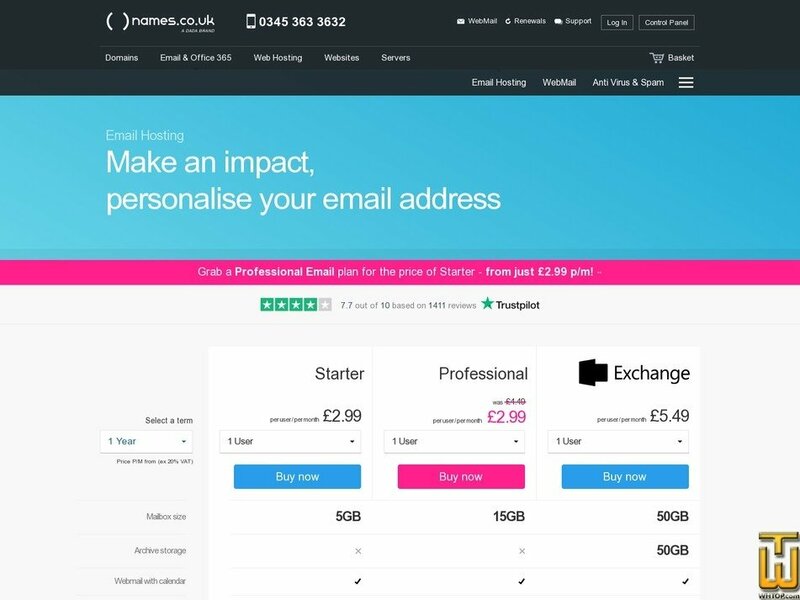 Hosted Exchange email including, 50GB storage, Outlook Web Access, POP3/IMAP access, Outlook Anywhere and Active Sync In additional we also provide free anti-virus and anti-spam filtering.